French firm Neoen has begun development on a hydrogen electrolyser to be colocated alongside a 150 MW wind project and 150 MW solar farm. The project has been awarded a grant of $1 million by the South Australian Renewable Technology fund, with more funding yet to be approved. It is planned that the electrolyser produces 20,000kg of hydrogen from the renewable energy proposed Crystal Brook wind and solar facility. 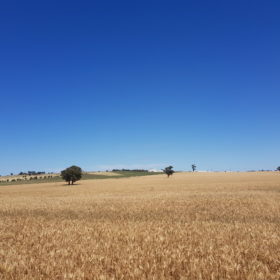 An initial grant of $1 million has been awarded to French firm Neoen by the State Government’s Renewable Technology fund to finalise the plans for a 50 MW electrolyser facility at its proposed wind and solar farm, located at Crystal Brook in SA. To support eventual project construction, Neoen has been allocated a $4 million grant and $20 million loan, which are the subject to development approvals. The facility, which is being called a Hydrogen Superhub is being touted by the SA government as the “largest co-located wind, solar and hydrogen production facility in the world.” The initial plan is to combine the 150 MW of solar PV and 150 MW with the 50 MW electrolyser and up to 400 MW of battery storage. South Australians will head to the polls on March 17, in an election that is shaping up as a referendum on energy policy. The incumbent Labor Party has made a series of commitments to renewable projects, including a 50,000-home Virtual Power Plant, and an ambitious 75% by 2025 Renewable Energy Target (RET)). In contrast, the Liberal Party opposition has argued that the state’s RET should be wound back. A third party, SA Best lead by the popular centrist Nick Xenophon, has not outlined a definitive stance on renewables in the state. New party, the Australian Conservatives, propose to explore developing nuclear generation and new coal generation. Neoen’s 50 MW electrolyser project is argued to present South Australia the opportunity to export its renewable energy as hydrogen products to emerging Asian markets. In March 2017, SA’s Renewable Technology Fund was established to support further integration of renewables into the state’s energy market, while improving the electricity market competition. Furthermore, the Hydrogen Roadmap for South Australia was released in September, which was designed to accelerate the proliferation of hydrogen infrastructure and technologies in South Australia. This facility represents a massive investment from Neoen of up to $600 million into renewables in South Australia, including 400 MW of solar, wind and battery storage. Neoen is the developer of Hornsdale wind and battery storage facility. Show me the Net Energy Return On Energy Invested calculations! “the electrolyser produces 20 000 kg of hydrogen” – in what time? -> It could be the daily production with around 19 full load hours per day.